We enjoy hosting floristry workshops of different kinds. We're happy to create tailored group sessions, or individual one-to-one floristry classes. If you would like to attend a Worm workshop, please head to the shop section for upcoming dates. If you would like to chat to us about hosting a workshop please contact us using the form below. 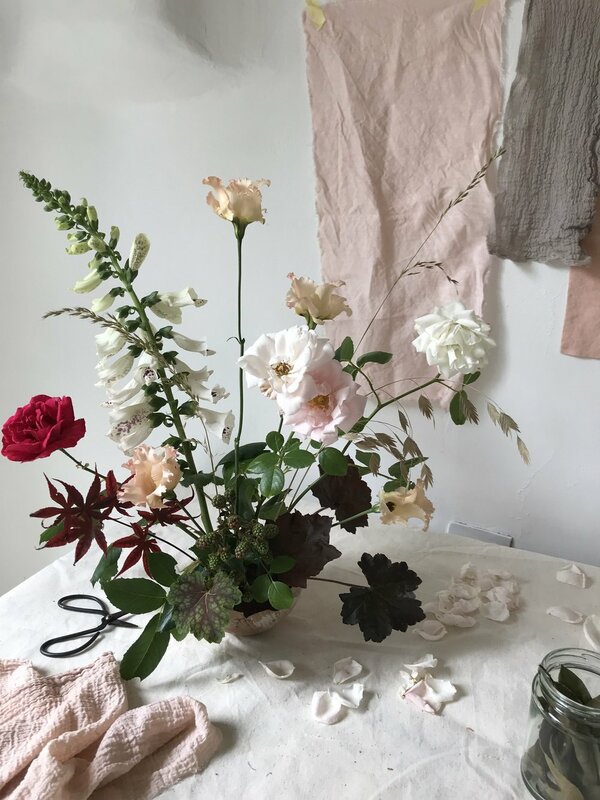 Flower Arranging and Natural Dying. See some recent workshops on our Instagram Stories.